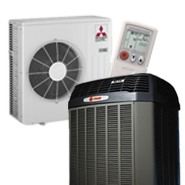 Jeff Wright Heating and Air Conditioning Services offers the broadest array of tankless water heating systems in the Richmond, VA area. 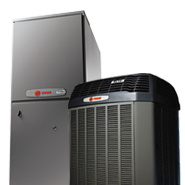 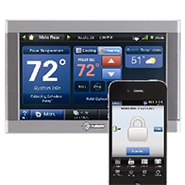 Traditional Gas hot water heaters are efficient and effective. 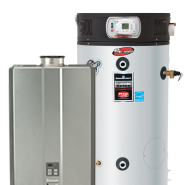 We would like to provide you with some information to help in the decision making process of your new water heating system. 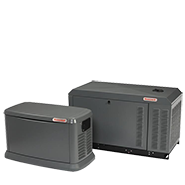 Our Energy Saver line of upright electric models features the power of the Hydrojet Total Performance System and the convenience of electricity. 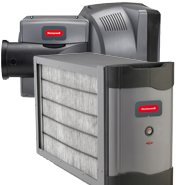 Available in single and double element models, these water heaters give you the power you need to heat water with electricity. 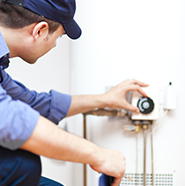 Conventional storage water heater fuel sources include natural gas, propane, and electricity. 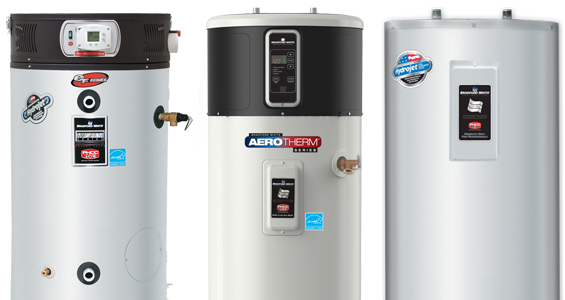 All conventional water heater store hot water 24 hours per day in a storage tank, typically ranging in volume from 20 to 120 gallons.